France is willing to cooperate with China in concrete programs under the Belt and Road Initiative that conform to common standards of both countries, the French president's diplomatic advisor Philippe Etienne said on Friday. The French Development Agency and the China Development Bank signed an agreement in January last year, he said, which could provide financial support for bilateral cooperation in Africa. Both countries are jointly looking for and researching programs on cooperation that meets their requirements in commonly funding a third market, Etienne told a news conference on Friday at the French embassy in Beijing. Africa is an important third-market for cooperation between France and China, and it is also a way for French participation in the Belt and Road Initiative, he said. France would like to attend the Second Belt and Road Forum for International Cooperation to be held in April in Beijing, he added. The EU and France hope China will step up opening its market to European companies, he said, adding that he also hopes the China-EU Investment Agreement will be signed to promote mutual investment and ensure European enterprises a secure and legal environment in China. Etienne is paying a working visit to China from Thursday to Saturday at the invitation of State Councilor and Foreign Minister Wang Yi. He said his visit to Beijing is to deepen bilateral cooperation. 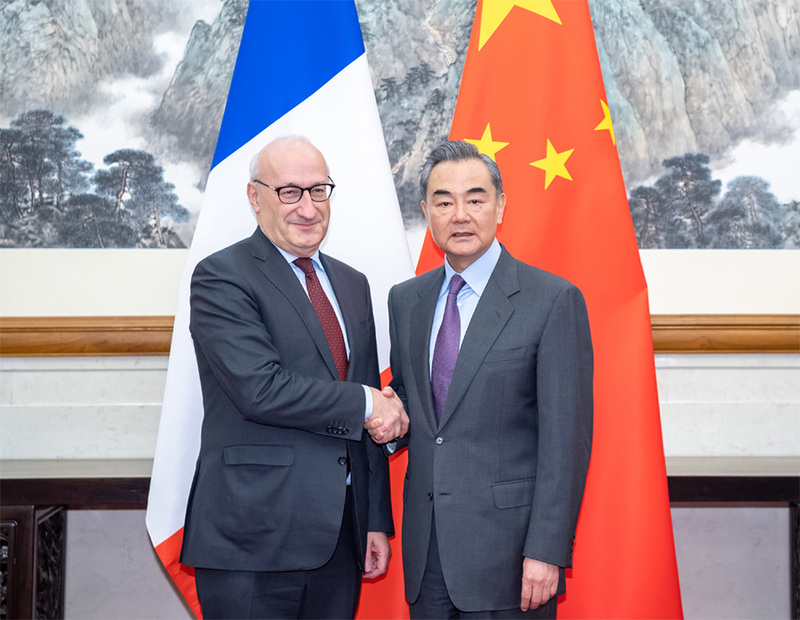 During a meeting with Wang on Thursday, Etienne said that France is willing to work with China to prepare for high-level exchanges between the two countries, strengthen multilateral coordination as well as defend multilateralism. This year marks the 55th anniversary of China-France diplomatic relations. Wang said that as permanent members of the Security Council of the United Nations, China and France should keep close communication and cooperate to deal with various challenges. The two countries should adhere to multilateralism, oppose unilateralism, maintain peace and stability and improve global governance, Wang added. France took the presidency of the G7 this year, and the theme of the G7 summit this year is fighting against inequality, Etienne said. Paris will organize the G7 summit with an open-minded attitude, he added, and would like to cooperate with countries outside the bloc, especially countries form the G20.